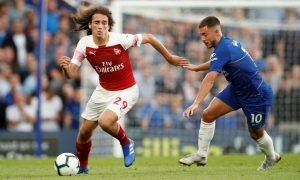 Emery keen on reuniting with former player at Arsenal; has plenty of PL experience - report | The Transfer Tavern | News, breakdown and analysis on all things football! Unai Emery has managed to achieve some rather special moments at Arsenal in his first season, however, he is far from done at the Emirates Stadium. The Gunners have one foot in the Europa League semi-finals whilst they are also competing for a place in the top four of the Premier League. The Spaniard is going to need to strengthen some areas of his pitch in the upcoming transfer window and it appears he could turn to a player he knows well to help him out. According to a report by Tuttomercatoweb, Arsenal are thought to be interested in signing Steven N’Zonzi. It is claimed Roma would not be prepared to let the France international leave the club for anything less than €22million (£18.9m) as they look to cut their losses on the player they only signed last summer. N’Zonzi may have had a rather poor campaign for Roma this season, however, there is no doubt that he could be a quality addition at Arsenal. The France international has plenty of experience of playing in the Premier League, having had spells with Blackburn Rovers and Stoke City in the past, whilst he has also played under Emery before as well, thriving in the midfield for Sevilla. N’Zonzi is an extremely physical player who could offer the Gunners some much-needed presence in the middle of the field alongside the likes of Lucas Torreira and Matteo Guendouzi and provide some cover in front of a rather fragile defence. His ability to read the game and ability to take the ball from the back and move it quickly proved to be essential to Sevilla’s performances under Emery. 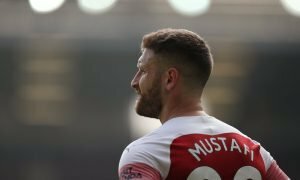 However, with a number of players who already play in the same way as the Roma midfielder at the Emirates Stadium, whether Arsenal truly need a player like him in the summer is a question that needs to be asked. Arsenal fans, do you think N’Zonzi is needed at the Emirates Stadium? Or do you think the club should improve in other positions? Join in with the discussion by sharing your thoughts with us below.